Many of you in this room are not new to our events and know that while we advertise through many traditional media channels, we are increasingly placing emphasis on community based marketing activities to engage our consumers, that are coupled with a purpose. Community based initiatives take a lot of organization and local planning and especially awareness and localized promotion, and our efforts would not be effective without the involvement of the Media and Blogger community, so in that light I’d like to extend thanks from the entire Energizer team for your attendance today. We appreciate it greatly. Many of you will already know that while Energizer is also the name of one of our premier global brands, Energizer Holdings Inc, has a wide brand portfolio, which here in The Philippines includes Eveready and Energizer batteries and flashlights, Schick shaving products, Banana Boat and Hawaiian Tropic Sun Screens, as well as Playtex tampons and infant care feeding systems. As a company we believe in coupling international and local marketing initiatives and we’re increasingly enjoying success, fuelled from extending our marketing efforts towards more community based activations that seeks to couple traditional advertising efforts with a positive and relevant cause that has some benefit in the community. Recent examples include the Barangay tours we’ve run for Schick, where we’ve built momentum and awareness for the brand by offering free shaves, community beautification and clean-up, as well as education on shaving and related hygiene. Similarly with our Eveready brand, we are increasingly engaging with consumers through local governments and barangay officials in promoting preparedness for the sometimes horrific consequences of typhoons and other calamities. Manila area. 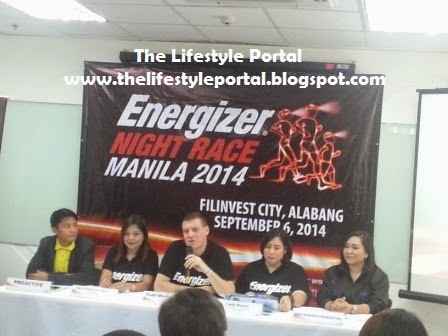 In alignment with our brand value of “positive energy” we hope that the 2015 Energizer night Race will once again encourage friends, family, colleagues and other energetic and willing participants to engage in and display positive healthy energy by running either the 3, 5 or 10km course as their own positive energy levels permit. We will make it more positive we hope by again donating to the Kapuso foundation. Now I am going to pass over to Cara to expand the details of the event to you all, but before I do I’d like to once again thank you all for attending today and offer my personal thanks for helping us make the 2015 Energizer Night Race a positive, healthy and fun event. Good morning everyone! Happy Friday to all! Our sincerest thanks to all the bloggers and press people who came today. Todd has shared with everyone the thrust of the company overall and how we would like to incorporate social responsibility as our way of giving back to the community while also helping build our brands. with our target market (families) in a fun and entertaining way. 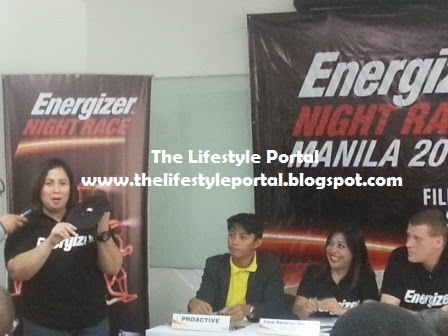 Not only is this a fun run, the Energizer Night Race has been a venue to spread Positivenergy by contributing to local and international causes as part of our responsibility in making a positive impact around us. Since the Night Race was held in the Philippines, we have donated hearing aid devices with Energizer Hearing Aid batteries to kids of the Kapuso Foundation, Solar Lights to thousands of homes in the country without electricity through the One Million Lights project, and this year batteries and lights again to our partner GMA Kapuso Foundation using part of the proceeds from the Night Race Kits sales. We hope that through the Energizer Night Race, we spread Positivenergy while keeping the fun and enjoyment amongst the run enthusiasts. Layunin po namin na makapagbigay ng maayos, ligtas at masayang run event para sa lahat, at syempre po – makatulong sa mga less fortunate through Kapuso Foundation. (It is our aim to provide a clean, safe and fun run while we are also able to help other people). 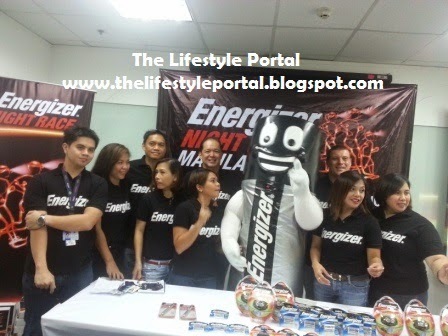 Allow me please to play a short video of the advocacy behind the Energizer Night Race. Rafael Rosell is Obra Ni Juan's Newest Endorser!